Instant app creation. No technical skills required! Coffee with a Cause recruits loyal followers with a great new app that offers mobile loyalty cards and real-time alerts about the mobile coffee truck's location and hours. 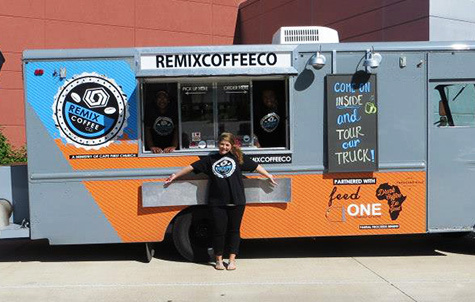 Kate Burton, philanthropist and owner of a community-minded mobile coffee truck, needed an effective way to reach today's mobile customers, including a simple messaging system that keeps them up-to-date with the truck's location and hours. 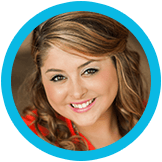 Her app is a hit with her new and existing customers, and the benefits to her business have exceeded her expectations. Since launching her app, Kate has seen an 85% increase in sales, a 10% rise in repeat customers, and an 80% loyalty card use rate—figures that serve both her business and the various charities she contributes to locally and abroad. Kate's most winning app feature is her loyalty card, which she actively promotes, along with her app, to all of her customers. "If you buy our coffee, you know we have an app AND a loyalty card. In fact, most of our customers have downloaded the app and use it." She advises fellow small business owners to do the same. Promote with each order you take. Constantly tell customers about your app and loyalty card, and emphasize the benefits they'll get when they download. Paste QR code stickers in prominent places inside your business, making it super easy for customers to scan and install your app. Create hype around your new app and get your staff on board, too. If you get your customers excited, they're more likely to tell their friends. Customers save money and we make money, so it's a win-win." with a Custom Mobile App?